A major new safari theme park in Oman, owned by a senior member of the Sultanate’s Royal Family, has chosen an AquaPak reverse osmosis desalination plant from Modern Water plc, the UK-based owner of world-leading technologies for water and wastewater treatment and for water quality monitoring. The customer will use the produced water for the theme park, guest accommodation in hotel villas and camp site, theme park rides, hospitality units, irrigation and animal welfare. Modern Water also provided advice on the water distribution network for the park. “Winning this prestigious order underlines our ability to bring high quality yet affordable water technologies to the world – and support them fully with our team of experts”. 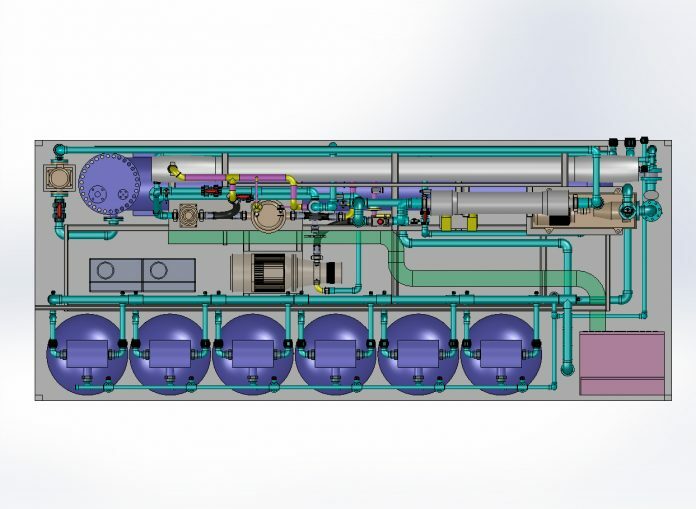 Low on energy consumption and capable of supplying between 100 m3/day and 500m3/day, and capable of being combined in a modular way to achieve even higher capacity, the self-contained AquaPak system is suitable for a variety of water supply applications, including potable, industrial, temporary or emergency, construction sites, oil and gas facilities, as well as leisure resorts, golf courses and hotel complexes – even in extremely remote locations. 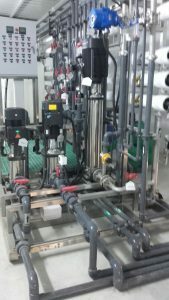 In 2009 Modern Water also delivered two forward osmosis desalination plants for the Public Authority for Electricity and Water (PAEW) in Oman at Al Najdah and Al Khaluf.